A common requirement in the business world is to compare financial information year to year to see what the trend is. 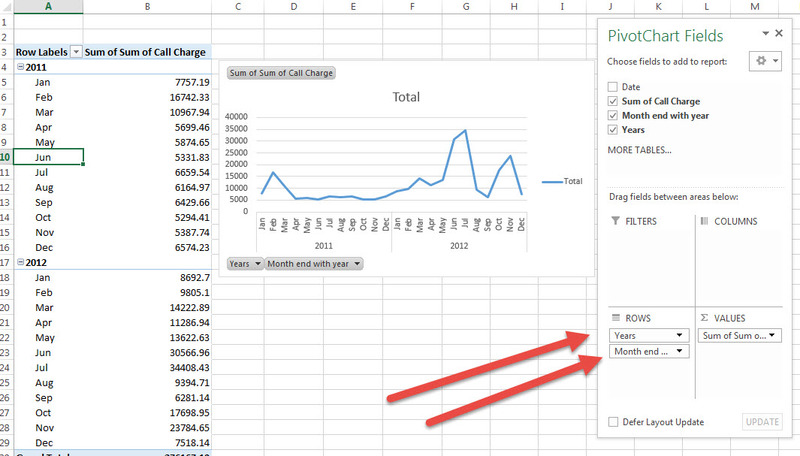 Pivot tables and charts are commonly used to slice and dice the information. 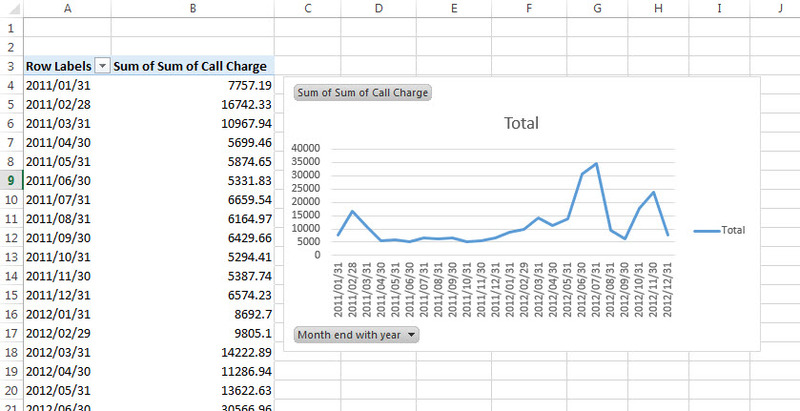 However, it is not always easy when comparing years in excel pivot charts. Below is what you may get when you run your report. You can see all the months in a straight line. 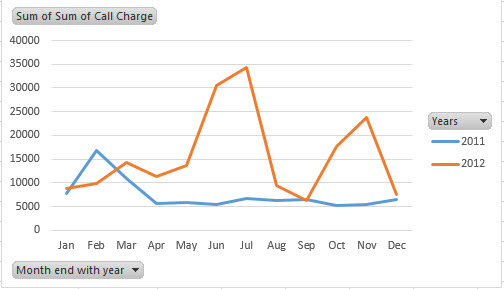 However, you want to see the years on top of each other, something like this to identify trends or seasonality. 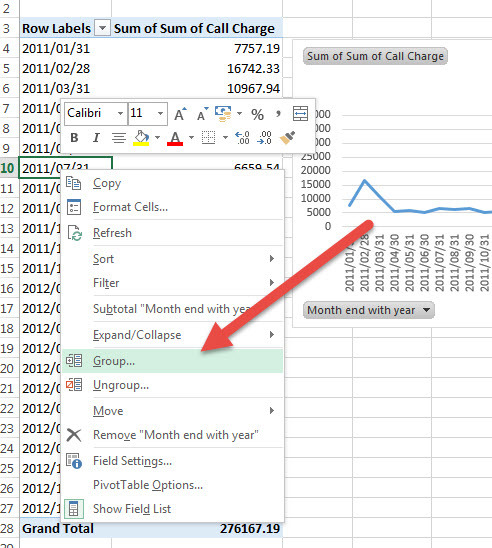 To achieve this you need to make use of the Grouping feature of Pivot Tables. Right click on one of the dates and choose grouping as shown below. 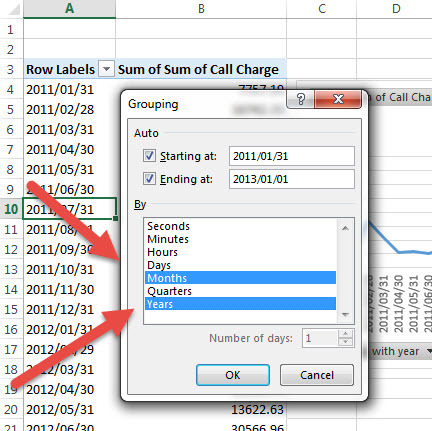 You will notice that your Pivot Table now shows the months and years separately and in the fields you now have a Years and Months item.